Are you a minimalist driver, or do you pack the kitchen sink for a drive to the shops? Being prepared can make the difference between dealing with an emergency and being stuck for hours, and it can just make journeys more pleasant. So fasten your seatbelt as we list 30 items every driver should have in their car. Make life easy for yourself and avoid emergencies by keeping these driving essentials in your car. 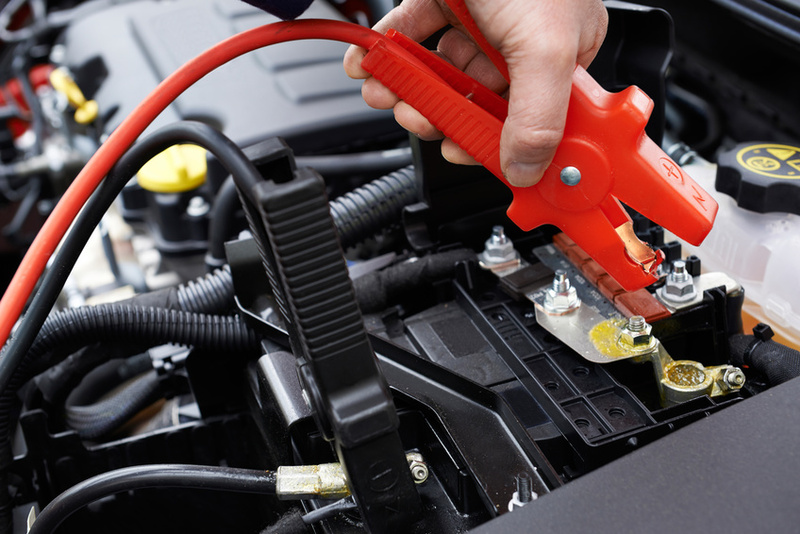 Jump Leads — Flat batteries are one of the most common causes of breakdowns in the UK, and often happen at the worst possible time (like in the pouring rain when you’ve just finished work). Whether you’ve left your lights on or your battery is on the way out, carrying a set of jump leads means you can borrow power from a fellow motorist (or play Good Samaritan yourself) and get back on the road without the hassle of having to call your breakdown provider. Duct Tape — Duct tape might seem like a strange car essential, but take it from us, you’ll be pleased you brought some along. This super strong tape can be used as a temporary fix for all sorts of issues at the roadside — as this article demonstrates. Tyreweld Emergency Puncture Repair Kit — Whether your car comes with a spare wheel or not, we’d recommend carrying a can of Tyreweld on every journey. This emergency puncture repair kit is easy to apply and will fix a flat in minutes, so you can be on your way without having to get wet and dirty trying to fit a spare tyre. Screen Wash – This seems like a basic but can often be forgotten. Water doesn’t clean as well as a proper screen wash, and if you end up with mud or bird droppings on your wind screen on a long drive you’ll want to clear it, fast. So make sure you can top up your washer jets if you need to. 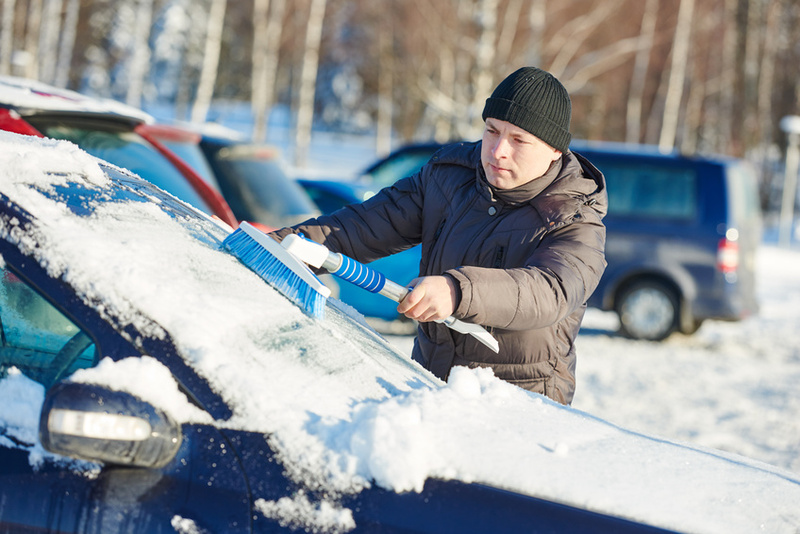 A good screen wash also helps you in winter when you’re driving through snow and sleet. Tool Kit — A travel sized set of screwdrivers and other handy tools can be a useful addition to a car. You never know when you might need them. Your Car’s Manual — What’s that warning light for?! An unfamiliar light on your dashboard can be worrying but if you’ve got your car’s manual to hand you’ll have all the info you need. 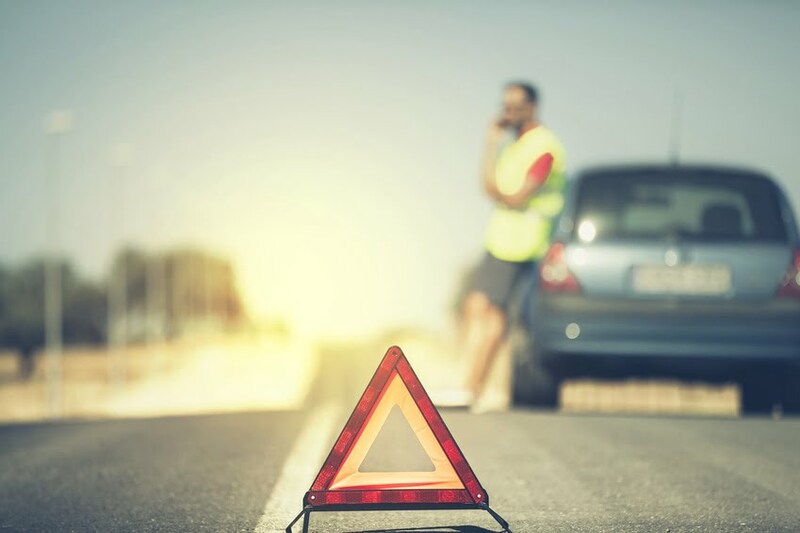 Breakdown Information — Most drivers buy breakdown insurance and then forget all about it — even forgetting to keep hold of the emergency contact number. Even if the number is stored in your phone, it’s no good there if your phone goes flat. Keep a copy of your breakdown information in the car, we promise you won’t regret it. Bradex Easy Start — On cold frosty mornings, engines can struggle to get started, leaving you shivering behind the wheel and late for that important meeting. If your car is prone to struggling on cold mornings, keep a can of Bradex Easy Start in your boot. This handy spray increases the combustibility of the fuel air mix in the engine, for hassle-free ignition on even the coldest of days. Ok, so we’ve convered some basics that will help you day to day. But sometimes you can end up stuck in your car for hours, either because of an emergency or because you’ve been caught in gridlocked traffic. These situations can be boring, frustrating and even dangerous, especially if you have children with you. So stock up on a few items to help you and your family to stay safe in an emergency. We’d recommend making up two safety kits, one for winter driving and long journeys, and the other for general everyday trips. Torch or Freestanding Lantern — Don’t forget spare batteries. First Aid Kit — With all the usual supplies, including painkillers and any prescriptions your family needs. A Multi-Tool/Swiss Army Knife — For quick repairs, maintenance and emergencies. Or just helping you open bottles. Whatever you want really. Energy Bars or Glucose Tablets — Perfect for keeping your energy levels up. Water ­— Aim to carry enough water to keep all passengers hydrated for the entire journey, as well as an extra in case of emergencies. Map or Sat Nav — Even if you know where you’re going, you should carry a map or navigation system to find alternative routes or avoid traffic jams. Reflective Emergency Triangle ­— Put this behind your car facing oncoming traffic if you break down at the roadside. High-Vis Clothing — In the dark and in an emergency, make sure you stand out on the road! Seat Belt Cutter and Window Break Tool — No-one likes the thought of having to use one of these, but they’re a good tool to have if you want to be really prepared. We’d recommend this one, which can be bought cheaply on Amazon. As well as all of the safety essentials listed above, these handy items can help you and your passengers stay comfortable and safe on the road. Emergency Spare Change — For parking or paying tolls. Pen and Paper — Perfect for jotting down directions or other essential information. And if you get bored you can play hangman. Waterproofs and Umbrellas — This is the UK after all! Reusable Shopping Bags — Because no one wants to pay 5p every time they pop to the shops. In-Car Phone Charger — Don’t get caught short without your phone, always carry a charger. A Change of Clothes — Whether you get soaking wet or fall in the mud, carry a change of clothes so you can enjoy a comfortable return journey. Snacks and Food — For when you get peckish at the wheel. Sunglasses — Summer or winter, sunglasses are an essential in the car, so always keep a pair in your glove box. Tunes! – All road trips need music – check out our list of the best car karaoke songs for inspiration. At Holts, our DIY emergency repair products are designed to get you back on the road no matter what happens. By keeping our trusted emergency products in your boot, you can enjoy complete peace of mind behind the wheel. For more information, visit our homepage.